Modern Wifi does not have to be expensive. 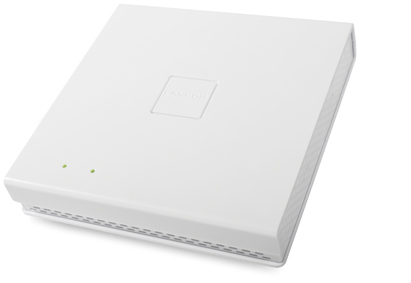 This access point combines the bandwidths of the current 802.11ac standard with better coverage, because its special antenna design provides expansive coverage at 5 GHz when compared with other access points. By saving on hardware, you immediately reduce the expense of setting up your Wi-Fi. The device is ideal for basic Wi-Fi provision across several offices, showrooms or shop floors. 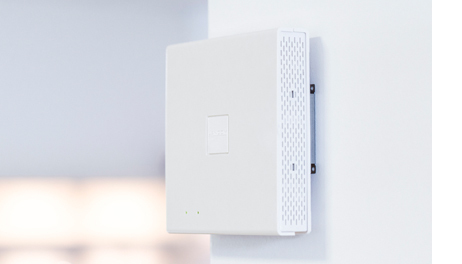 For agencies, law firms and small businesses, this access point is perfect for a professional internal company network in parallel with a user-friendly guest network. Similarly, cafés, guesthouses and small hotels benefit from Wi-Fi even in the very last corner. The innovative antenna design of the LANCOM LN-630acn dual Wireless with its three integrated MIMO antenna for 11ac operations provides significant range gains in the 5-GHz frequency band. This is an ideal basis for effective Wi-Fi coverage across challenging indoor environments. 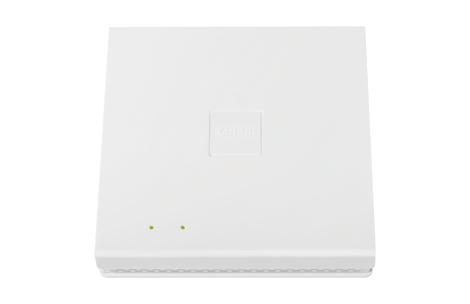 The LANCOM LN-630acn dual Wireless is the ideal solution for Wi-Fi scenarios that demand reliable coverage with 11ac technology. Equipped with two Wi-Fi radio modules, one supporting IEEE 802.11ac and the other IEEE 802.11n, the device provides reliable Wi-Fi to 11n clients in the 2.4-GHz frequency band in parallel with the increasing number of modern 11ac-enabled devices requiring Wi-Fi in the 5-GHz band. Thanks to the power supply via power over Ethernet as per IEEE 802.3af, the LANCOM LN-630acn dual Wireless operates at any PoE-powered Ethernet port. 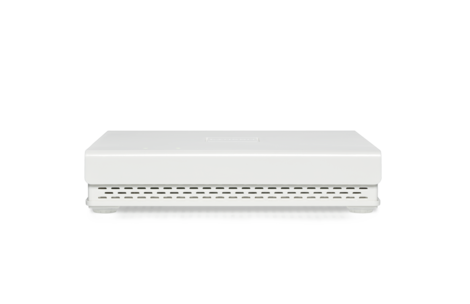 This enables the access point to provide Wi-Fi coverage for any building, irrespective of the available power supply. Allows quick and easy access-point integration due to automatic configuration provisioning by WLAN controller or the LANCOM Management Cloud. After network authentication, the access point immediately receives the appropriate configuration. In combination with the LANCOM Public Spot option, the LANCOM LN-630acn dual Wireless is the ideal choice for operating a hotspot. Users benefit from Internet access that is secure and easy to use, while hotspot operators are assured that their private network is inaccessible for their guests. An integrated hotspot API seamlessly integrates the hotspot into external provider systems. LANCOM products are designed for a product life of several years and are equipped with hardware that is fit for the future. Even reaching back to older product generations, updates to the LANCOM Operating System family, are available several times a year, free of charge, including new useful features and tools that make your job a little easier. 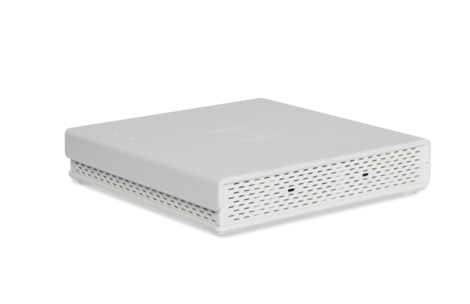 The new LANCOM access point housing is characterized by a modern, quadratic design in appealing flat white. The integrated antennas enable an inconspicuous integration into modern environments and the engraved logo seamlessly fits into the uniform surface. The deeply built-in LEDs support the puristic design and can be switched off if necessary. Space. Due to exceptional mounting freedom. Whether on the wall, the ceiling or a flat surface – the enclosed drill template and non-slip rubber foots guarantee practical mounting options. Cool. Due to intelligent ventilation concept. The housing’s vent slots provide the proper airing of the device and the maintenance of the temperature range. This way, a reliable WLAN operation is guaranteed even during times of high load. The provided drill templates of the LANCOM Wall Mount (LN) – specifically designed for this housing – guarantee maximum security. Once the housing has been hooked into the Wall Mount and fixed via kensington lock the device is optimally protected against theft. Intelligent antenna design – 3x3:2 MIMO antenna configuration increases the range for clients connecting in the 5-GHz frequency band.